Dave, my former student at Shantao University worked as a photojournalist for a Chinese newspaper for about 2 years. 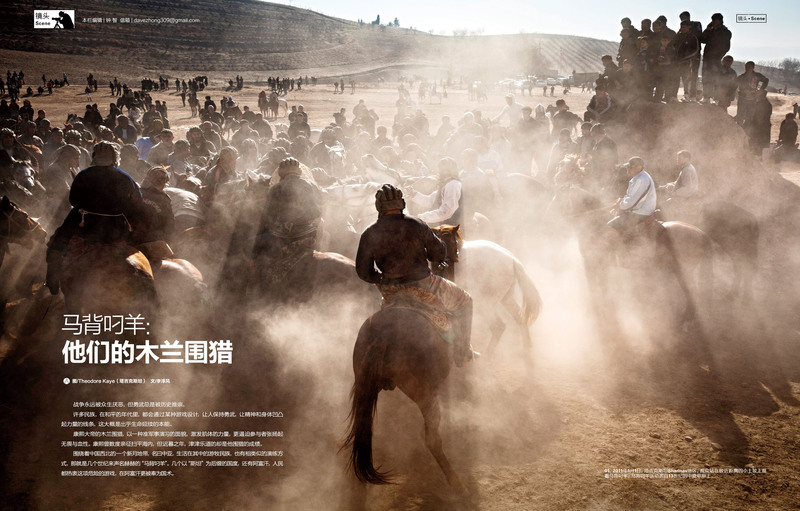 He has recently joined as photo editor for Nan Feng Chuang (Southwind Window) magazine, a nation-wide bi-weekly News magazine mainly focusing on political and financial issues about China and the world. 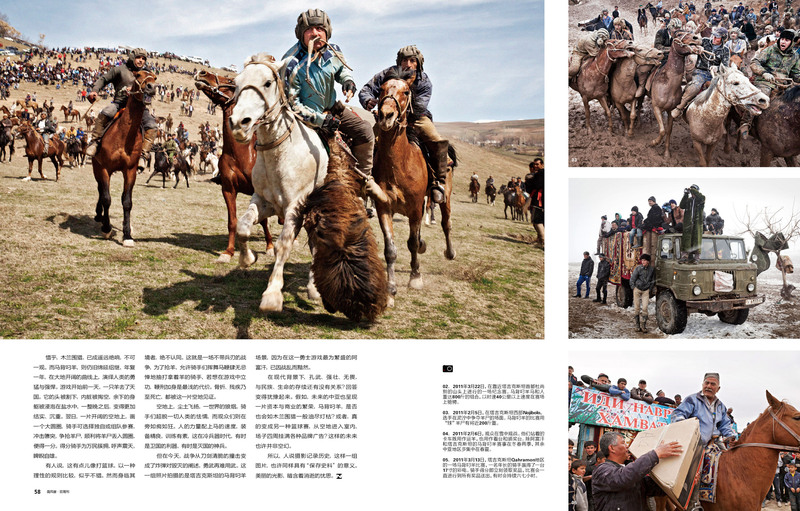 About this Buzkashi story Dave says: We love it. It works great especially with the text written by our writer. I hope we can have more stories like this, visually strong beautiful images, about different lifestyles of people around the world. I discovered Bangladeshi photography in an unusual way. Like many people I spend too much time on Facebook, the social networking internet site that everyone seems addicted to. I have collected a large number of Facebook friends, many of them photographers from all over the world. Some I know and some I don?t After a few weeks on Facebook I started to get strange messages at the bottom of the screen popping up as live conversations, from photographers who wanted to talk. Some could barely type a word of English. They were awkward moments. I didn?t know what to say. It turned out that many of these little blips on my Facebook radar were from Bangladesh. This got me curious?there seemed to be quite a few photographers from Bangladesh. Checking the search engine Google for searches using the key words ?photo magazine? by geographic location showed that the leading source of the searches were coming from Bangladesh. Amazing. This issue of 100eyes shows a country as seen through the eyes of its own photographers. ?There is nothing remarkable about that, except in this case the country is one of the poorest nations in the world, known for being a subject for photojournalism rather than as a provider of photojournalists. Photographers flew into Bangadesh from New York, Paris, or London, that is, when they weren?t headed for nearby India. Photographers will still be flying to Bangladesh, including myself hopefully, but we?won?t be alone. In 1989 Bangladesh was depicted for Western eyes in a famous essay by photographer Sebastio Salgado that presented the shipbreaking yards at Chittagong. 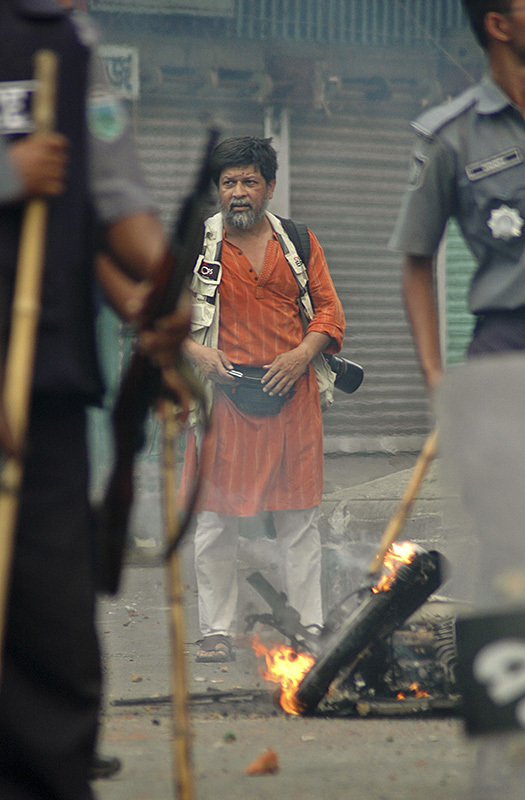 Twenty years later Bangladeshis are now behind the camera, and the results are stunning. One of the featured essays this month is ?Breaking Ships, Broken Men,? an essay by Saiful Huq Omi that looks at the same shipbreaking yards that Salgado photographed. Instead of reducing the workers to so many ants on a giant steel ant hill, Huq addresses the horrific conditions that the men work and live under?while retaining the atmospherics that made Salgado?s work so compelling twenty years before. Its fabulous work. 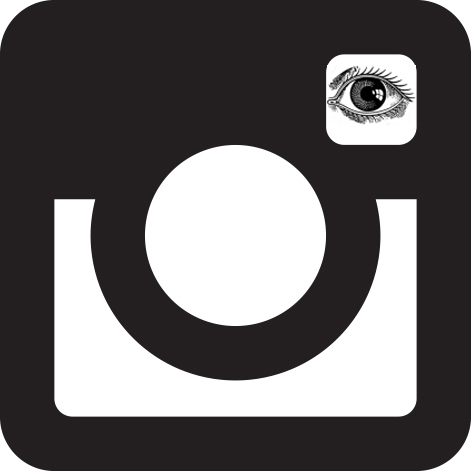 If there is a message in the emergence of ?indigenous photographers? it is that these photographers are able to achieve an intimacy with their subjects which enhances their humanity rather than objectifying and reducing the disadvantaged to stereotypical images of suffering. We are all too familiar with the pictures that accompany the campaigns of organizations responsible for feeding those who can not feed themselves. This imagery strips the impoverished of identity and renders the third world in one dimension? poor, and the result is more often than not that the poor stay that way. 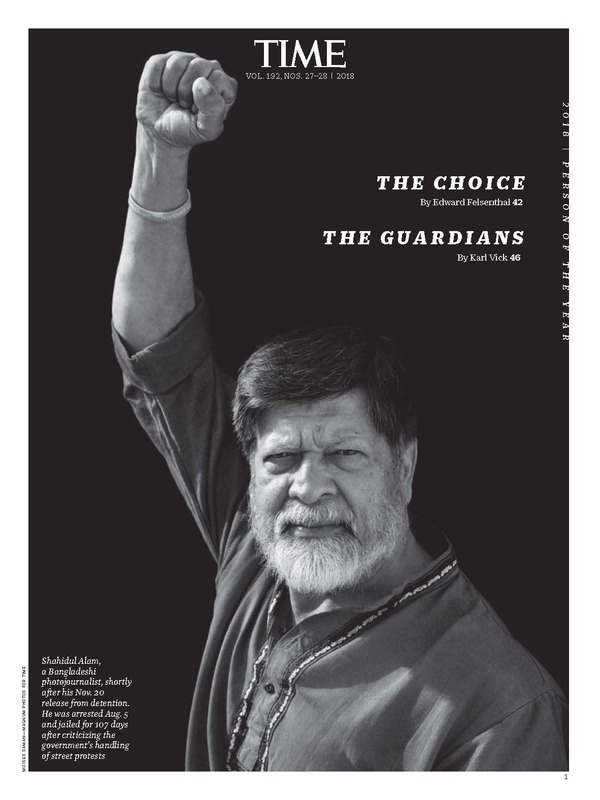 As economically challenged as Bangladesh may be, there are 200 newspapers in the small country, and many of them are staffed by students from Pathshala, a school founded by Shahidul Alam, the central figure in the emergence of photography in Bangladesh, and the author of the cover image of this issue of 100Eyes. Alam developed into a photographer in Britain in the 1980?s after receiving a Doctorate in chemistry, and in 1989 started the Drik Picture Library and Pathshala, the South Asian Institute of Photography, the latter as part of a World Press Photo initiative. Most of the photographers showing work in this issue of 100Eyes went to Pathshala or taught there. A traditional sanskrit world for ?center of learning,? Pathshala, according to Alam is?? ?far more than teaching photography. It is about using the language of images to bring about social change. It is about nurturing minds and encouraging critical thinking. It is about responsible citizenship.? He contines, ?In a land where textual literacy is low, it is about reaching out where words have failed. In a society where sleek advertising images construct our sense of values, studying at Pathshala is about challenging cultures of dominance.? Alam and his fellow teachers, along with the World Press folks including Robert Pledge of Contact Press, have done a fantastic job. The students are exposed to classic photojournalism, poring over old issues of Life and National Geographic. Having spent hours going through the Drik archives I can testify to the training of the photographers? they always look for the single image that tells the whole story. I wondered to myself how there could be so many fortuitousy placed buildings in Bangladesh, as the Drik photographers seem able to find a high vantage point for every breaking news story. Abir Abdullah?s coverage of a horrific high rise fire in Dhaka, is as if he is almost one of the rescuers himself. Tanvir Ahmed is a very gifted photographer who seems able to move from news to features, and from color to black and white effortlessly. What can you say about Mumen Wasif? At 27 he is already working at the level of a Magnum photographer. I can?t say enough about all these photographers? they deserve attention and employment outside the confines of Bangladesh. Inside Bangladesh the photographs carry the importance that Life Magazine stories had. And in a country where literacy is so low, as Shahidul Alam points out, ?what better way than pictures? of gaining understanding? 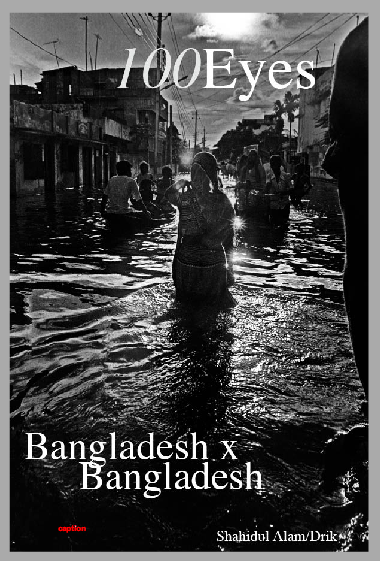 Looking at Bangladesh through the haze of the internet imakes me nostalgic for the time when photojournalism mattered, When people opened their weekly copies of Life or Time Magazine and looked to photographers to show them what was happening in their country and the world. At that time it seemed as though photography could really make a difference? and that time was not that long ago. I was one of those photographers. I get a similar sense when I look at the work of the Pathshala photographers? that their work is not just for the vacumn of the internet, meant only for other photographers to admire, or rendered ?modern? and fit only for curation and the gallery wall. Far from it, their work has relevance and a purpose within their own country, which may be underdeveloped in some ways, but seems progressive in others.